Despite simple clinical tools existing to support early diagnosis of psoriatic arthritis (PsA), the condition is still being unrecognised, under- or untreated, resulting in irreversible joint damage. PsA occurs in ~30% of patients with psoriasis, developing ten years after skin symptoms - meaning that many patients will be under dermatology care when initial symptoms manifest. 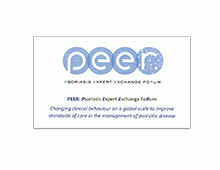 PEER is an ambitious platform changing clinical behaviour globally to improve standards of care in psoriatic disease. 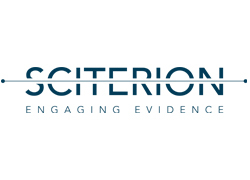 Phase 2 (4-year programme) drives detection of early PsA signs and effective dermatology referral to support long-term interdisciplinary management. 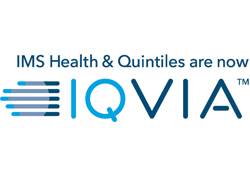 Built on the latest academic thinking in behaviour change, PEER mapped clinical barriers-to-change and worked with advocates of desired behaviours to create toolboxes tailored to enable others. A flexible peer–peer cascade platform meant that countries could tailor the practical solutions to their specific challenges. With PEER now reaching >4000 physicians in 32 countries, phase 2 has driven actual change in clinical practice in 80% of physicians, with micro-audit data demonstrating routine use of screening questionnaires, differential diagnosis and establishment of collaborative care models. PEER is a powerful influence on clinical practice worldwide, and is testimony to AbbVie’s commitment to scientific exchange and improving standards of care for psoriatic disease. In taking a different approach, this work stands out from the many support programmes already out there. AbbVie and Lucid really understood behaviour change and showed how this understanding could be applied for high impact. We really liked the very clear link between strategy and tactics in the PEER programme, leading to excellent implementation.